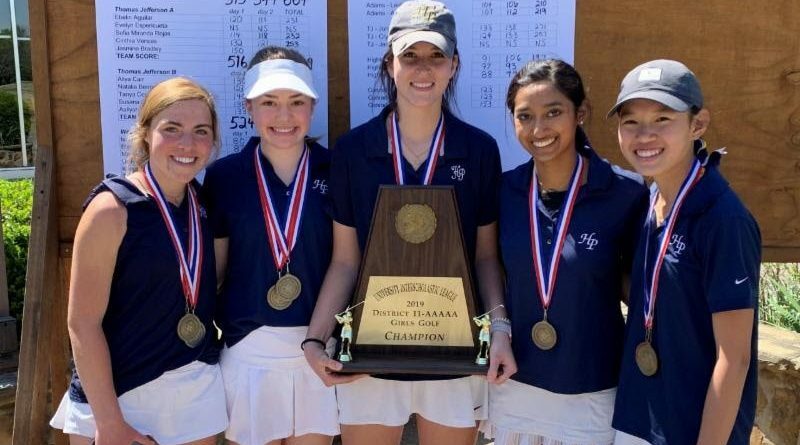 By finishing in the top two positions in the two-day event, which wrapped up Tuesday at Brookhaven Country Club, both HP squads qualified for the Class 5A Region II tournament on April 22-23 at Rockwall Golf Club. 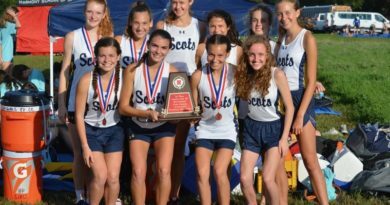 The Lady Scots swept the podium in the individual standings, led by district champion Sophie Biediger. 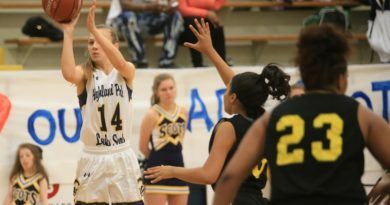 The freshman was followed by teammates Katie Laird in second place and An Shelmire in third. 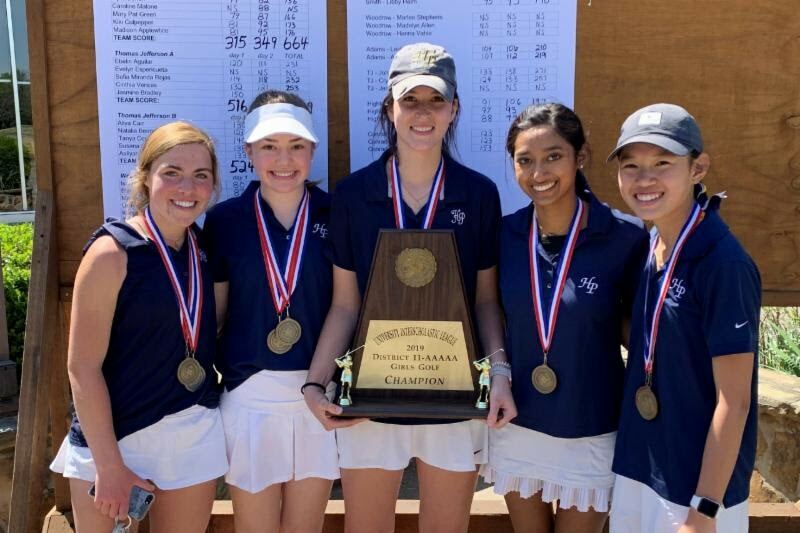 HP landed eight golfers in the top 10 overall, including Nikita Nair, Kylie Benak, Julia Cary, Mary Pat Green, and Kiki Culpepper.